The late start has been a blow to the coastal economy. Crews that spent months preparing pots and loading boats have yet to be paid and restaurants hoping to offer locally caught crab are still waiting. 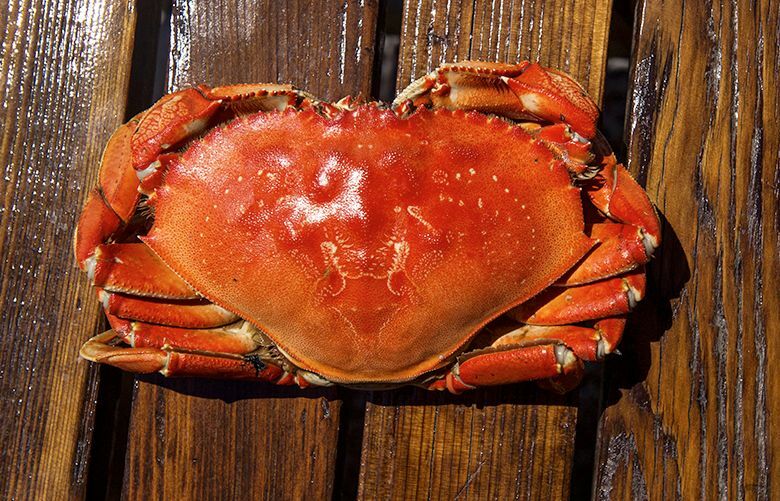 ASTORIA, Ore. (AP) — The commercial Dungeness crab season had been set to open Monday in most of Oregon and Washington state, but price negotiations and ocean conditions kept boats at home. Crabbers told The Daily Astorian that major processors initially offered crabbers $2.30 a pound — well below last season’s average starting price of $2.89 a pound. The price inched up during the state-sponsored negotiation period in Oregon, but the processors’ price has remained below $2.89. John Corbin, chairman of the Oregon Dungeness Crab Commission, and others planned to continue negotiations with processors on Monday. However, fishery managers and crabbers said that with rough ocean conditions expected to follow a warm and sunny weekend, few boats would venture out even if they settled on a price. The season traditionally starts Dec. 1, but was delayed until Jan. 15 to give the crabs more time to fill with meat. Fish processors are on standby. Crews that switch over to fish halibut or cod in Alaska are looking at a smaller window of opportunity to make money crabbing. In Washington’s Pacific County, fuel sales during the commercial crab season and the Buoy 10 summer sport fishing season make up the bulk of the tiny Port of Chinook’s revenue. Fisheries managers use “meat fill” tests to determine how well the Dungeness have rebounded from the late summer shedding of their shells in a process called molting. After the molt, the crabs fill with water as their shells harden and they grow new muscle. A two-pound crab must yield at least a half-pound of meat. Sea swell and wind were expected to pick up later Monday, settle a bit on Tuesday and strengthen Wednesday. “Now it creates a different set of challenges,” Corbin said.